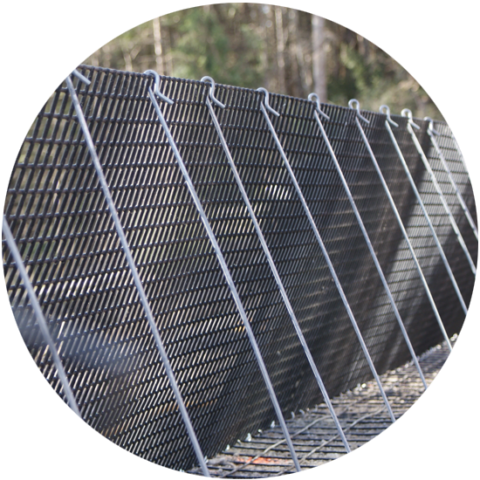 Innovex provides a range of solutions for retaining walls and reinforced embankments. Permanent or temporary, with rocky or green facade, our walls and embankments systems are adapted to your stabilization and reinforcement projects. Please visit the Gabions section for gabion walls. Mechanically reinforced wall composed of metal mesh facade retained by geogrids. Finishing in stones or vegetation. Completely green system composed of geotextile bags filled with a mixture of sand and topsoil retained by reinforcing geogrids. The resistance of stone and concrete combined with the aesthetic and environmental advantages of the grassy slopes. What is the maximum inclination of a vegetated retaining wall? What sound barrier systems are available at Innovex? 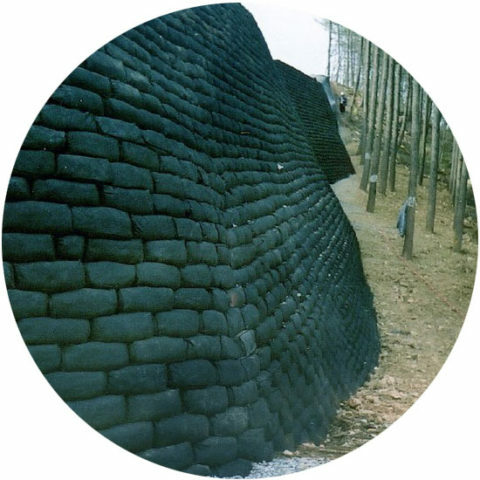 What is the geogrid length required for mechanically stabilized earth walls such as Novamur? Does Innovex offer temporary retaining walls? Does Innovex offer turnkey systems? Approximately 60 °. It is also important to consider the orientation of the wall. A north-facing wall will be more difficult to turn green. Novatalus and Novamur are very good acoustic attenuators because of their earth core. Gabion is also to be considered, the stone absorbing a good part of the sound energy. About 75% of the height of the wall, depending on the type of façade and overload on the wall/slope. Yes, we are adapting the components of our permanent walls to reduce the cost of the structure. For example, we substitute galvanized wire mesh covered with PVC with crude steel which has a much shorter lifespan. Definitely! We can supply and install the materials, in addition to providing the necessary engineering plans.